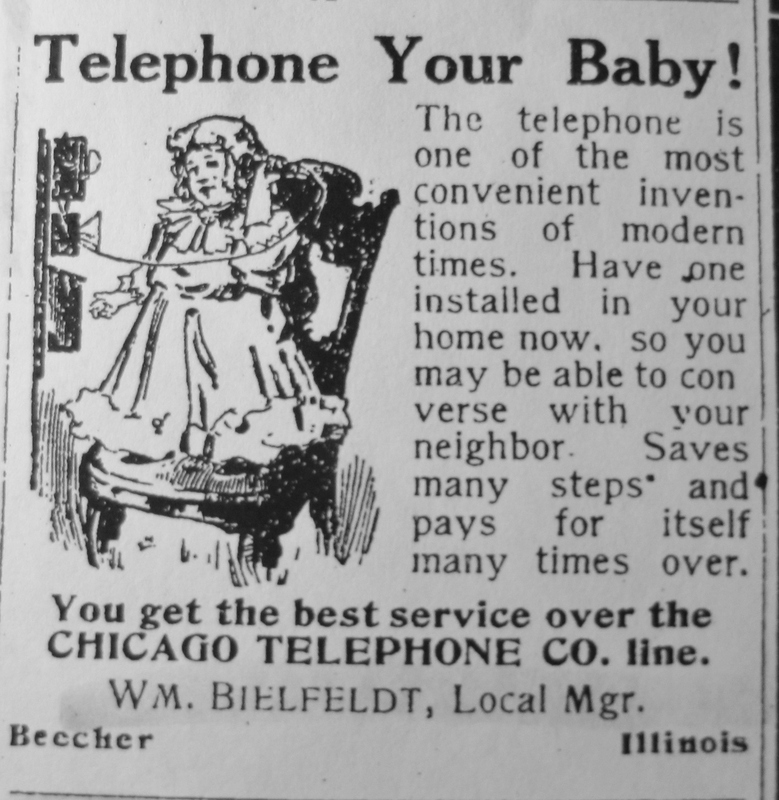 Father to: Raymond J., Irving W. (Eleanor Brown), William Henry Jr. (Angie Ignelzi) Bielfeldt. Local residents were shocked at the news of the sudden death of William Bielfeldt, former Beecher business man, who passed away suddenly, Sunday at his home at 1412 Schilling Ave., Chicago Heights. Funeral services were conducted at the Spindler-Koelling Chapel in Chicago Heights, Thursday, at 1:00 p.m. Rev. G. Horst of St. Luke’s Evangelical and Reformed Church officiated and Mr. Lembrecht rendered vocal numbers. 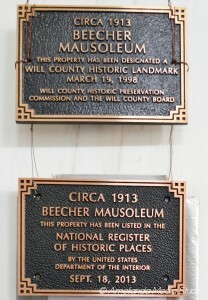 Interment was made in Beecher Mausoleum. 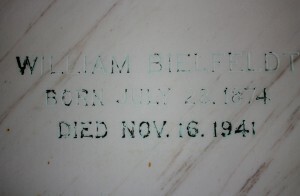 Mr. Bielfeldt attained the age of 67 years, having been born in Beecher, July 28, 1874. He received his early training and development in Beecher where he resided until 1921. 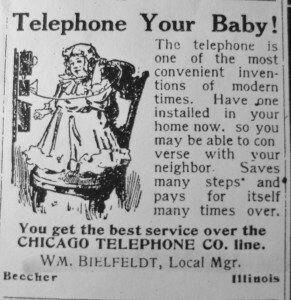 During this period he served as local manager for the Illinois Bell Telephone exchange and had a brief career in business. 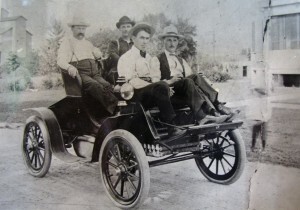 In 1921 he moved his family to Chicago Heights and successfully conducted a taxicab service there for fifteen years. Recently he had been a watchman at the Armour Fertilizer Works in Chicago Heights. The deceased leaves to mourn his sudden departure, his wife; two sons, Irving of Chicago Heights, and William Henry of Gary, Ind. 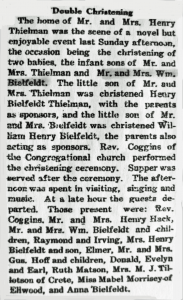 ; two grandchildren; four brothers, Grover of Momence, Albert of Kankakee, John of South Chicago, and Herman of Joliet; and a sister, Mrs. Minnie Thielman of Chicago. Mr. Bielfeldt had many friends in the Beecher community, who knew him as an unusually thrifty and aggressive citizen who was a distinct asset to his community. We join in extending sympathy to the bereaved family. 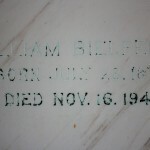 Editor’s note: William’s first born son, Raymond J. Bielfeldt, served in the US Navy during World War 1 in France, Washington D.C. and Cuba. Raymond contracted tuberculosis while in the Navy, and he never recovered. You can learn more about Raymond on his page.